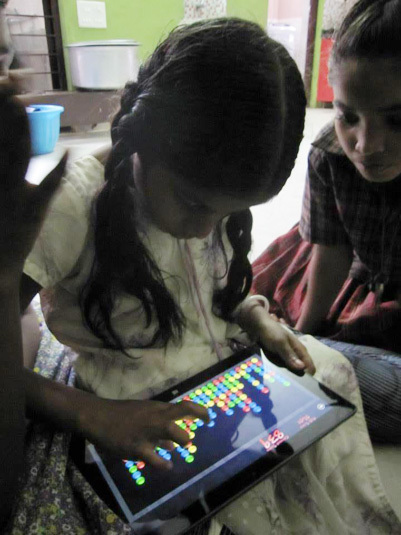 Laia Foundation started a pilot project in Pondicherry related to Information Technology. We help developing a knowledge centre in Pondicherry to integrate Information Technology into teaching both at primary and higher education. IT will help Laia Foundation to increase access and bring down the cost of education to meet the challenges of illiteracy and poverty. - multiple communication channels: e-mail, chat, forum, blogs, etc. The knowledge centre is located in Pondicherry, at the Jaly Home run by Samugam Trust. Jaly Home is a caring centre for destitute and neglected children.